Let’s learn to make this cute little amigurumi crochet kangaroo using some very easy to follow step by step instructions. This is a quite simple and not too complex project, so if you have a basic understanding of amigurumi, then you’ll handle it without any difficulties. Just follow the guidelines and enjoy your crocheting. These kind of lovely toys have always been my favorite crafts and there is no doubt you’ll love it as much as I do. 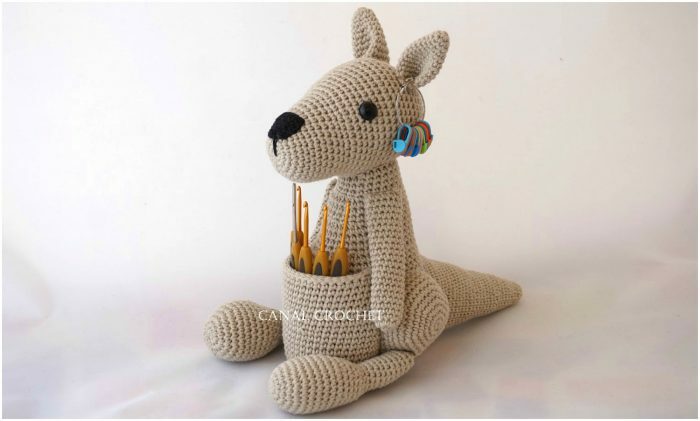 Our friendly blog wishes a best of luck to you with this adorable amigurumi kangaroo. Enjoy yourself and always feel free to share your experience with us and other crochet hookers in a comment section below. This is a very easy to follow video tutorial on how to crochet amigurumi Kangaroo. The original tutorial is in Spanish but you can always choose different caption languages by clicking the captions icon on a video. Hope you’ll love this cute amigurumi Kangaroo as much as we do. Good luck and enjoy your crocheting.